NOTE: an upgraded re-release of the original Bilko bootleg CD from 1989. 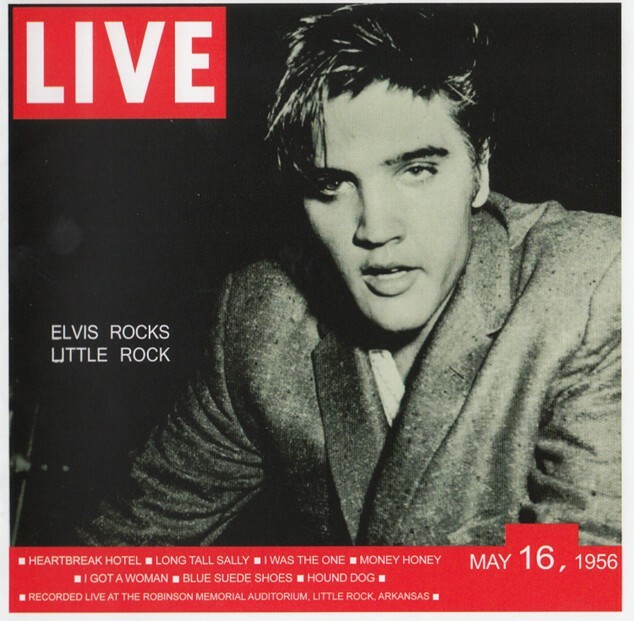 This is the best Elvis 1956 live album! * The complete May 16th 1956 concert remastered! * The story behind this recording as told by disc jockey Ray Green. * The complete dressing room interview by Ray Green, remastered! * The complete December 15th1956 concert as original recorded NOW remastered and speed corrected! * Limited Edition – 500 copies only! Live al 'Robinson Memorial Auditorium', Little Rock, Arkansas. 16 maggio 1956. Live al 'Hirsch Youth Center', Louisiana Fairgrounds, Shreveport, Louisiana. 15 dicembre 1956. 23 Don Davis interviews Elvis March 1956.